Every pupil coming into St Crispin’s learns History: They will build on skills and knowledge they have learned in the Primary Schools and we hope that their Key Stage 3 studies will further encourage them to find out about the past and understand the people of the past and how their lives have affected our lives today. At key stage 3, students will focus on becoming real historians. Yes, History is about ‘lots of stuff’ but it’s more important to realize how to use that ‘stuff’. We focus on the principle of enquiry, studying units that come to a significant outcome – whether that be essays, reports, videos, debates or models. We aim to cover the most engaging parts of British and World History and to challenge students thinking along the way. We ask many questions about the past. Were the Romans really rotten? Was King John really a bad ruler? Who was the ultimate Crusade warrior? How big an impact did the Black Death have? Why did castles change over time? How terrible were the Tudors? Why did Henry VIII create his own church? Was Elizabeth I really a golden queen? Was the Gunpowder plot a set up? Why did England bring back the monarchy? Did the Industrial Revolution make life better? Who was most responsible for Titanic being such a disaster? Why did people fight in the trenches? How was Germany punished at the end of WWI? Why did Britain win the Second World War? 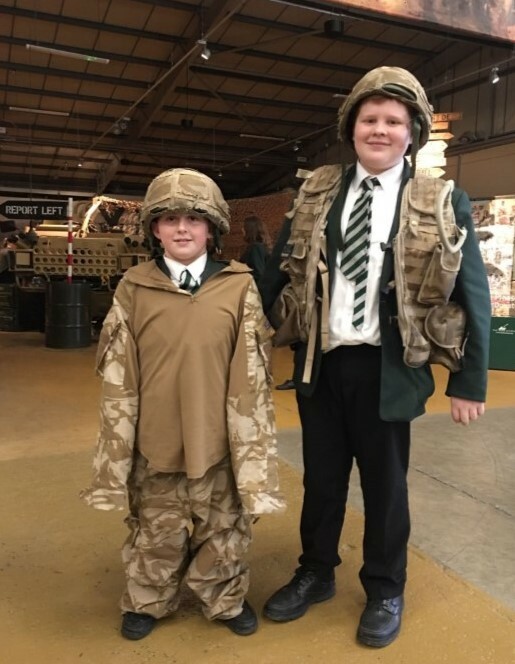 During Key Stage 3, pupils are encouraged to develop skills of understanding and evaluating historical evidence in the form of written and visual materials and artefacts, and to extend this by related visits to Warwick Castle, The Black Country Museum in Dudley, and the Bovington Tank Museum. We aim to give pupils three formal assessments in each year of Key Stage 3. These are marked according to a new step system, based on progression models and skills required at GCSE. Each assessment will focus key skills such as using source material, causation, consequence, historical interpretation and significance. Throughout all assessments students will need to show a strong base of knowledge and understanding. We also run half termly investigations after school for those with a particular passion and enthusiasm for the subject – whether this is planning an assassination attempt on Hitler’s life or deciding the moral dilemma of whether or not to bomb Auschwitz – are you tough enough?